Assessing management is one of the more difficult tasks investors face. In recent years, research has identified three quantifiable factors that influence company performance: CEO remuneration, gender equality at a board/executive level, and family/founder ownership. Global index provider MSCI recently released a report stating that “companies with lower total summary CEO pay levels, more consistently displayed higher long-term investment returns.” MSCI also stated last year that “companies in the MSCI World Index with strong female leadership generated a ROE of 10.1% per year, versus 7.4% for those without.” Research from Pitcairn Financial Group, a leading US-based family office, then demonstrated that “family-owned firms within the S&P 500 index annually returned ~135 basis points more than the broad market over a 20-year period.” Read on for a deeper understanding of what’s driving each of these observations. Dr. Kym Sheehan wrote her Ph.D. thesis on executive pay and is the Founder of The Executive Remuneration Reporter, which analyses and advises on remuneration-related resolutions. In response to the paper, she told Livewire that it’s important to look deeper than the reported numbers. Nicholas Moore from Macquarie Group is the highest paid CEO in Australia, based on his total actual remuneration due to an uncapped short-term incentive scheme. Dr. Sheehan has kindly prepared a summary of the Executive pay of five outperformers (Commonwealth Bank of Australia, CSL, Ramsay Health Care, Sydney Airport and Transurban), and five underperformers (BHP Billiton Limited, National Australian Bank, Origin Energy, QBE Insurance and Woodside Petroleum) based on total shareholder return, over the past five years. Despite making up half the population, women make up less than a quarter of board positions among ASX 200 companies, according to the Australian Institute of Company Directors. 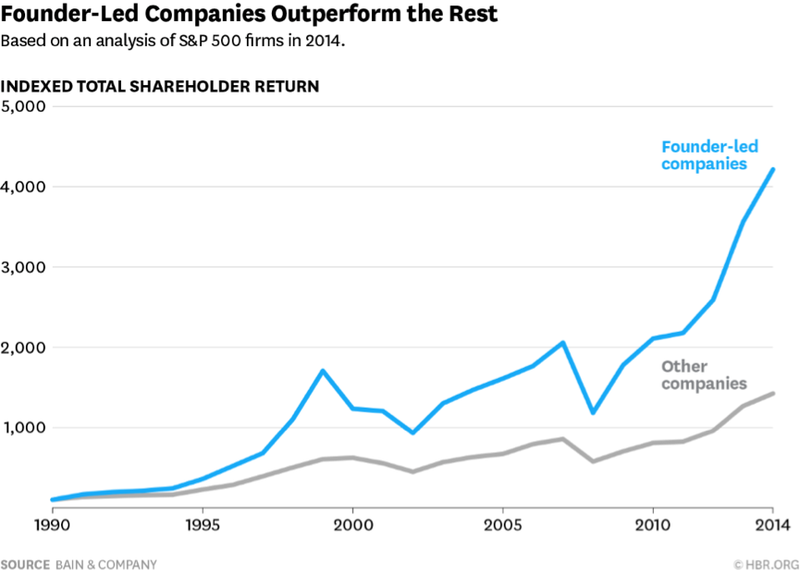 Research from industry groups and multiple universities have suggested that companies where the founder or founding family retains significant ownership perform better over a number of metrics. “Our main results show that the existence of a founder CEO is correlated with a 31 percent increase in the citation-weighted patent count before we control for R&D spending and a 23 percent increase in the citation-weighted patent count after we control for R&D spending, suggesting that founder CEOs are more effective and efficient innovators than professional CEOs. As boundary conditions of the relationship, we find that the positive effect of founder CEOs on innovation is stronger in more competitive and innovative industries. Furthermore, our results suggest that founder CEOs are more likely to take their firms in a new technological direction. Finally, we provide evidence that the innovations of founder CEO-managed firms create more financial value than the innovations of professional CEO-managed firms. Our findings are particularly convincing because the results are consistent across various robustness checks that control for potential selection issues and other endogeneity concerns.” – Lee, Kim & Bae, Purdue University.